With a video message for Maccabi Tel Aviv fans, Devin Smith announced that he’s leaving the team since he’s no longer able to play professional basketball. That’s how Maccabi Tel Aviv forward, and 2014 EuroLeague champion with the Israelis, Devin Smith announced his retirement from professional hoops at 34. 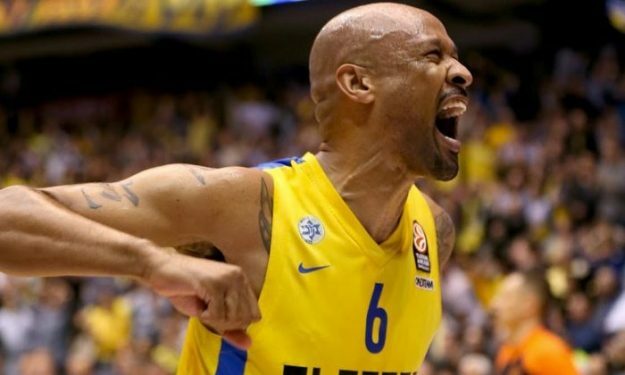 Smith spent the last six years playing with the “Yellows”, tying Kevin Magee and Nikola Vujcic for the second longest tenure with the Maccabi jersey. He helped his team win the 2014 EuroLeague, the 2012 & 2014 Israeli League titles, the 2012 ABA Liga championship, plus the Israeli Cup six times (from 2012 to 2017). Throughout his career, he’s also played for San Sebastian, Avellino, Fenerbahce, Panellinions and Benetton Treviso. He’s been a fan favorite and one of the most beloved players for Maccabi supporters.